Agriculture plays an important role in the economic and rural development of Indonesia. It generates over 13% of Indonesia’s GDP and is the country’s biggest employer, providing work to a third of the labour force. The sector satisfies the need for food of 261mn Indonesian citizens and about 13mn tourists every year. Agricultural land covers a third of the country’s territory. Indonesia is among the top world producers of palm oil, natural rubber, cocoa, coffee and rice. Indonesia’s long tradition of fishing and fish-rich waters make it one of the world’s most important fish and seafood producers. 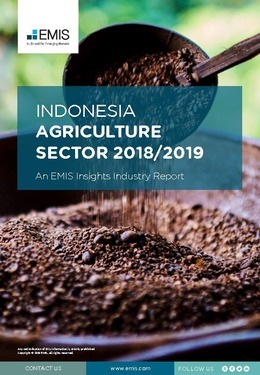 This report provides a complete and detailed analysis of the agriculture sector for Indonesia. EMIS Insights presents in-depth business intelligence in a standard format across countries and regions, providing a balanced mix between analysis and data.